Excellence in hairdressing is a combination of talent and experience. As a result, each stylist focuses strictly on one particular discipline of the craft: either cut or color. By focusing on one service, our artists are highly educated and able to provide top flight hair services. Let our team create a customised style that is uniquely you – helping to Highlight your inner beauty. With many years of global experience in cutting edge techniques, our team will ensure you get the perfect cut that works with your individual style. Big day or big night- let us prepare your hair with a shampoo and a style. Blow dry service is the perfect way to make sure you’re looking great for that busy week ahead. Complete your style with a customised colour to magnify your tailored haircut. Our talented artists will create a colour that is unique to your individual style, all made from a global rich tonal colour to accentuate your luscious long hair to the perfect style. Ever wanted smooth straight hair without the hassle of having to blow dry or use the straightener? Chemical hair straightening may be your perfect solution. This process will straighten and smooth out the most untamed hair without you having to lift a finger. Chemical straightening is relatively permanent and lasts until it is cut out of your hair giving you straight hair for months to come. For straight hair, come to Novel London. A natural way to help maintain that unruly hair, keratin smoothing treatments take away the hassle of dry frizzy hair making it easier and faster to blow dry. By putting keratin back into your hair you dramatically improve its condition and shine, locking in that fabulous new hair colour. 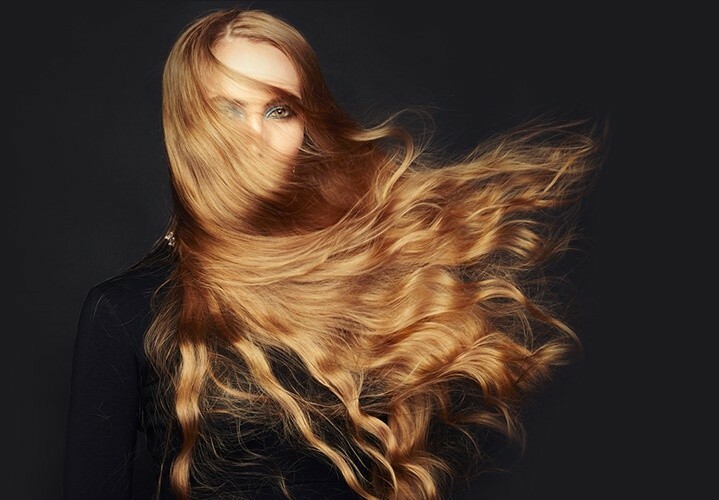 Keratin helps combat frizz caused by humidity ensuring your blow dries stay smoother for longer. Ask about our keratin specials today. Add some length and fullness to short or limp hair. Extensions can also be used to add a bold splash of color to fit a mood, match an outfit, or make a colorful personality statement. At Novel Salon, select stylists are certified in the application of safe and comfortable Dreamcatcher extensions. Or try our Hot Heads extensions for a super-easy application and removal experience. Ask for more information.